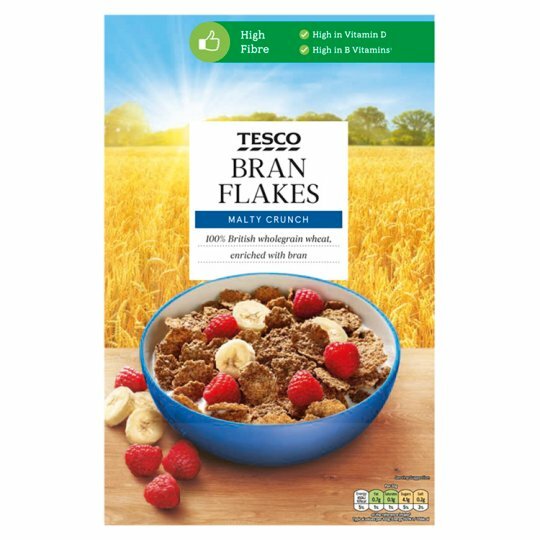 Flakes of wholegrain wheat and wheat bran, fortified with vitamins and iron. MALTY CRUNCH 100% British wholegrain wheat, enriched with bran We love breakfast. That’s why we only work with partners who take pride in what they do and select the most flavourful grains for your cereals – like they’ve been doing for decades. Wholewheat (80%), Wheat Bran, Sugar, Barley Malt Extract, Salt, Niacin, Iron, Pantothenic Acid, Thiamin, Vitamin B6, Riboflavin, Folic Acid, Vitamin D, Vitamin B12.